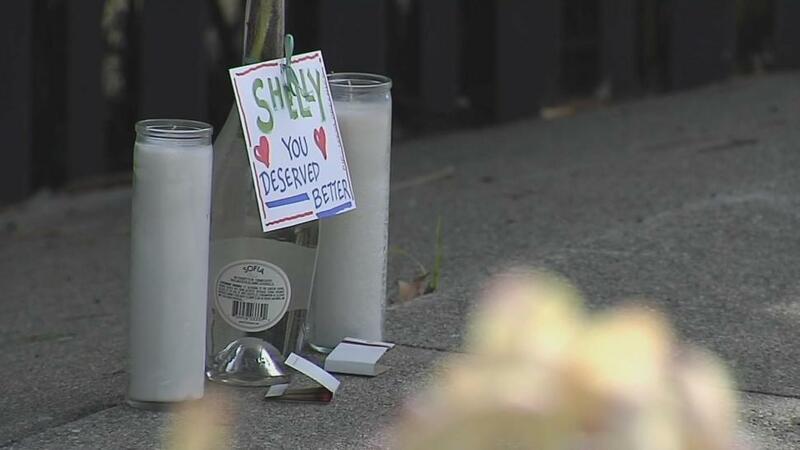 A sign outside her Brisbane home on Thursday read: "You deserved better Shelly." The couple at the center of an odd case involving what is likely a wife’s dismembered torso and the husband’s apparent suicide shortly after had filed divorce papers in San Mateo County Superior Court 15 years ago. Civil court records from 2001 show that Paul Titchener had filed for “dissolution of marriage” from Shelly Titchener, as well as some sort of unspecified child custody action. According to the court’s website, which did not make all the records available, the two were living at separate addresses in Brisbane at the time and were acting as their own attorneys. The end result of this filing is unclear. The “disposition” fields are blank. Both Titcheners are now presumed dead. "My mother Shelly Titchener and father Paul Titchener have recently passed," read a Wednesday night post on the "Find Shelly Titchener" Facebook page, set up apparently by the couple's son, James Titchener, who asked for privacy. Fremont police spokeswoman Geneva Bosques said officers met with him on Wednesday, in a discussion she didn't detail. A woman's torso was found Feb. 21 by fishermen in the wetlands by the Dumbarton Bridge in Fremont. The Alameda County Coroner has not yet made a positive identification on the body, but on Thursday, Bosques said detectives are "fairly confident" the body belongs to Shelly Titchener. "We still have not found an entire body," Bosques said. “Additional evidence” and more human remains were found near the same bridge, police said, on Tuesday night. "We do believe there are still remains possibly in the water out there somewhere else," Bosques said. "We don't know." Even though the body was found in Fremont's jurisdiction, Brisbane Police Cmdr. Robert Meisner said Thursday his department is now the the lead agency in investigating the likely connection between the torso — found in a bag with the head and limbs cut off — and the Bay Bridge suicide of Paul Titchener, which the California Highway Patrol reported on Tuesday. In an email, he said that "several search warrants" have been served, including Paul Titchener’s business, the Titchener home and their vehicles. According to his LinkedIn profile, he was president of FXsound.com, a Brisbane company that developed media technology. His profile also states he earned a PhD in electrical and electronics engineering from Stanford Univeristy in 1983, who held multiple patents. Police had not called him a suspect, but a “person of interest” in his wife’s mid-February disappearance. San Mateo County District Attorney Steve Wagstaffe on Thursday said his office has never prosecuted a case against Paul Titchener. And a records check with the Brisbane police department showed officers had never been to the Titchener's homes on a domestic violence call. The "Find Shelly Titchener" Facebook page states that she on Feb. 13, Shelly Titchener was at home when she told her husband she would be staying with a friend for a "couple of days," and "it is possible she was in a mentally incapacitated state," the post reads. Then, on Feb. 15, she was seen walking around the Nordstrom at Hillsdale Shopping Center in San Mateo between 5 p.m. and 6 p.m., according to the post. She was reported missing on Feb. 15 when she never returned from the trip to her friend's, and she left her cell phone and lap top at home, the post read. On Feb. 20, a post from Paul Titecher's Facebook page, which identifies the author as her husband, asks for help in finding his wife. Neighbors said the couple was very private and were shocked to hear of the latest developments in the case. Neighbors also reported Paul Titchener recently knocked on doors to ask if anyone had seen his wife. "He came to the door with his son looking for if I had seen anything," said Dave Burke, who lives across the street from the Titchener family. Still, other neighbors who did not want to be identified said the Titcheners did not have a great relationship and that Shelly Titchener often seemed troubled. NBC Bay Area's Kris Sanchez, Riya Bhattacharjee, Kristofer Noceda, Ian Cull and Cheryl Hurd contributed to this report.